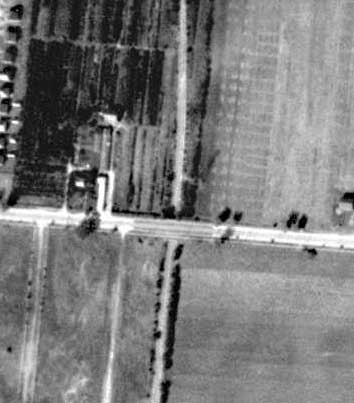 A closer look at the 1938 aerial shows the Motor Parkway going under Old Country Road. This bridge was built around 1909 and , like the Jericho Turnpike bridge, was one of a handful of Motor Parkway bridges that went under the major intersecting road. 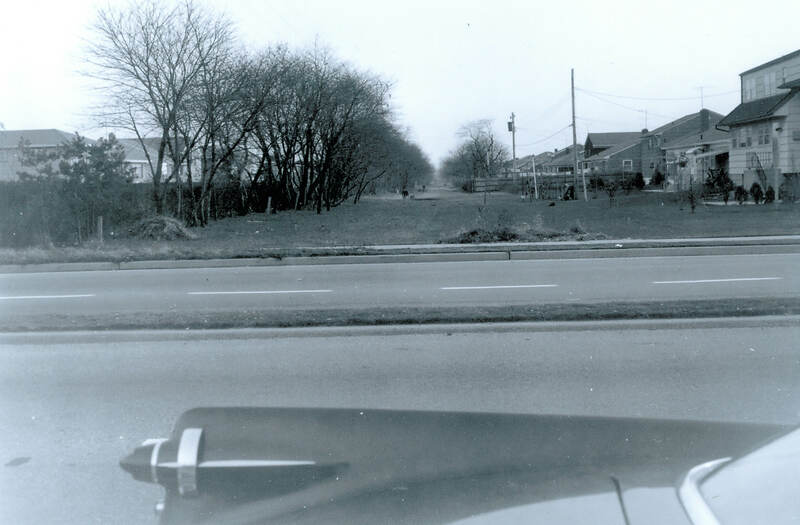 This rarely seen 1960 photo shows the Motor Parkway right-of way at Old Country Road, looking south. 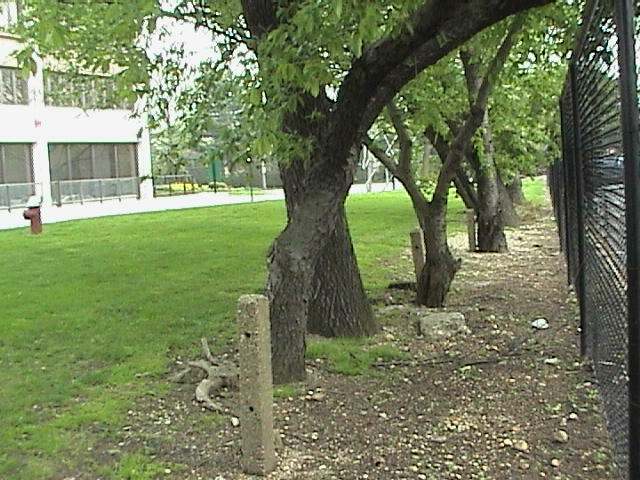 The bridge was long gone, but several concrete posts remained along the fence line on the left. Today, four concrete posts of the Motor Parkway remain in place north of Old Country Road and adjacent to the office building at One Old Country Road.